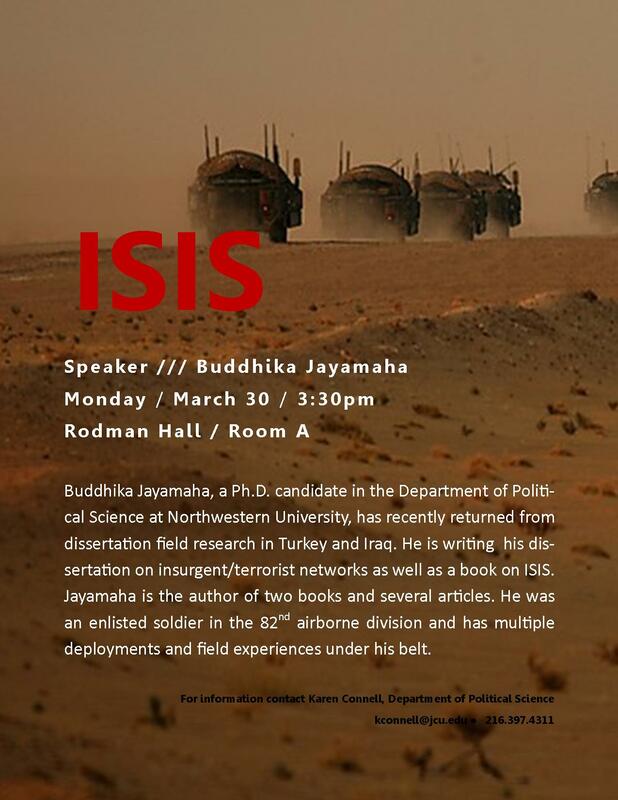 Buddhika Jayamaha, a Ph.D. candidate in the Department of Political Science at Northwestern University, has recently returned from dissertation field research in Turkey and Iraq. He is writing his dissertation on insurgent/terrorist networks as well as a book on ISIS. Jayamaha is the author of two books and several articles. He was an enlisted soldier in the 82nd airborne division and has multiple deployments and field experiences under his belt.